The Roman Anglican: Our Lady of the River, a summery Roman tradition. 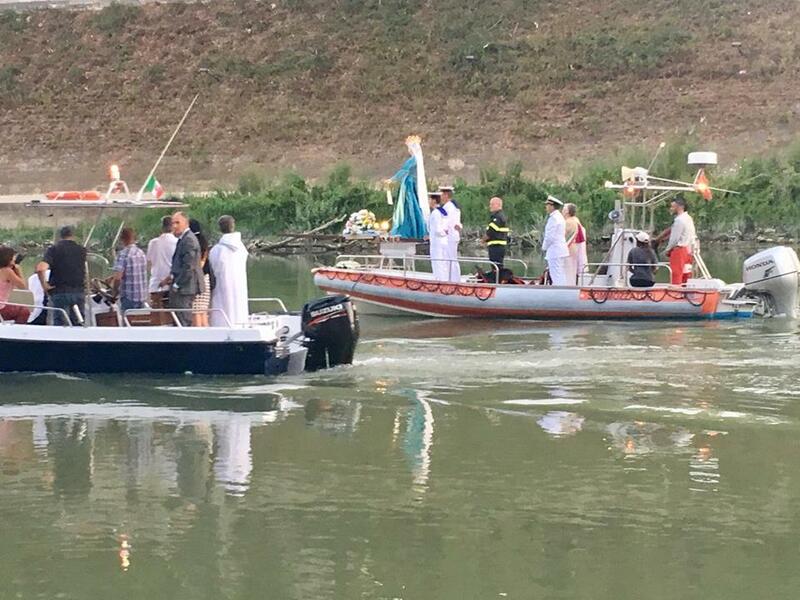 Our Lady of the River, a summery Roman tradition. 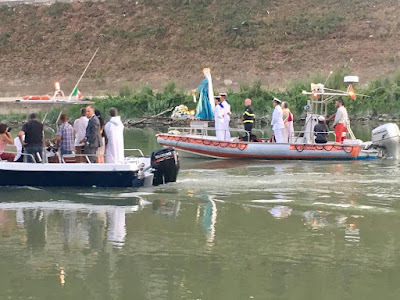 Yesterday, on the Tiber I had the pleasure to witness one of the oldest and most beloved traditions of Rome, La Festa de Noantri, literally "our feast", which occurs on the commemoration of Our Lady of Mount Carmel, the patroness of the Carmelite order. Celebrations last for over a week in the end of July and it is one of the most heartfelt feasts in Rome, but how did it begin? In 1535, during a storm, a group of fishermen at the mouth of the Tiber found a statue of Our Lady sculpted in cedar wood. The statue which became La Madonna Fiumarola (Our Lady of the River), was given to the Carmelites of the Church of San Crisogono in Trastevere, it became the protectress of Rome. Now the statue is housed in the Church of Sant'Agata in Trastevere and every Saturday after the 16th of July a procession to the Church of San Crisogono takes place where the statue rests for a novena. But one of the most striking peculiarities about the feast takes place on the last day of celebration when a spectacular procession on the Tiber, crossing the entirety of Rome, ends up with Our Lady landing in Trastevere again where a Solemn Mass takes place in the third century basilica of Santa Maria in Trastevere. It is indeed a dazzling experience and it is a good example of Roman spirituality, be sure not to miss it next time! Ave Maria! A "different" Crucifixion in Florence. An unusual Renaissance gem in Florence. Short Reflection on the Romanovs' Martyrdom. Mary: why is she so important?